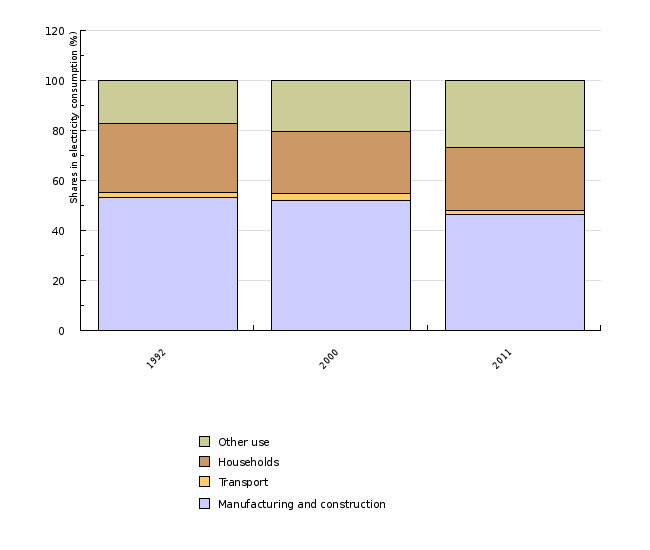 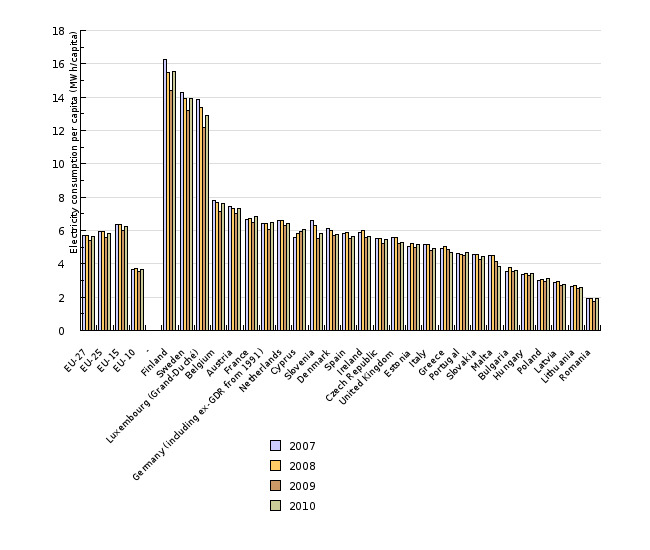 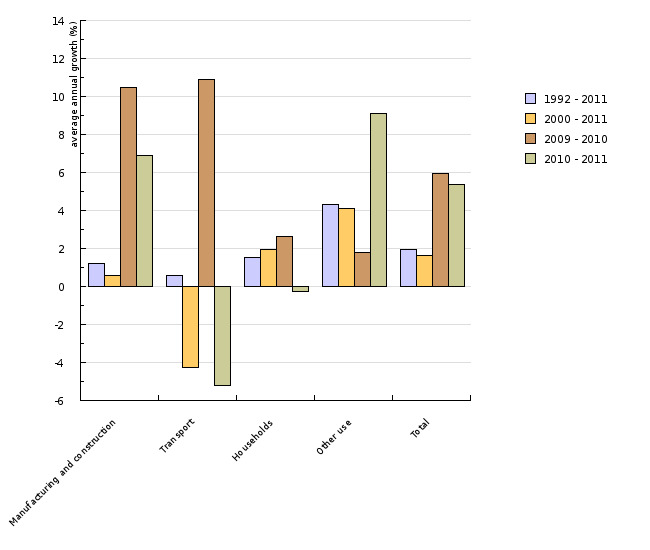 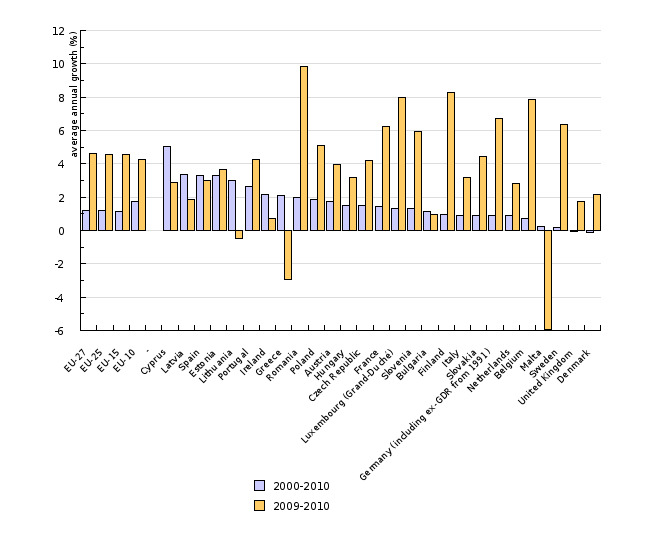 In 2011, electricity consumption increased due to some economic growth. 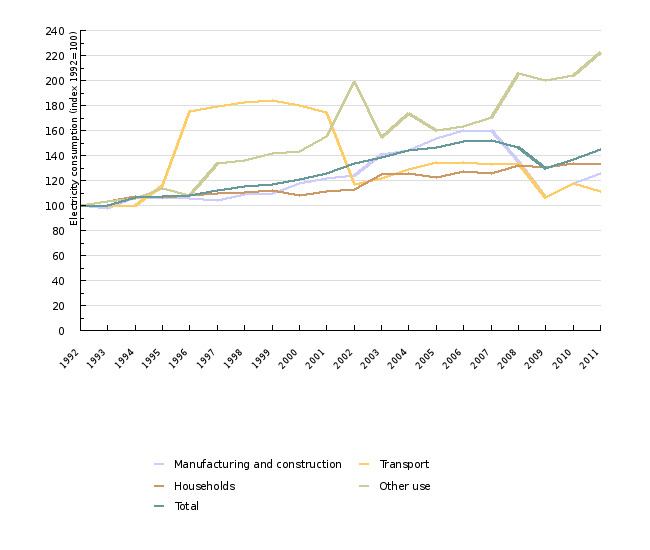 In 2000-2011 period, the average consumption growth was 1.7% per annum, which matches the projections in the current NEP. 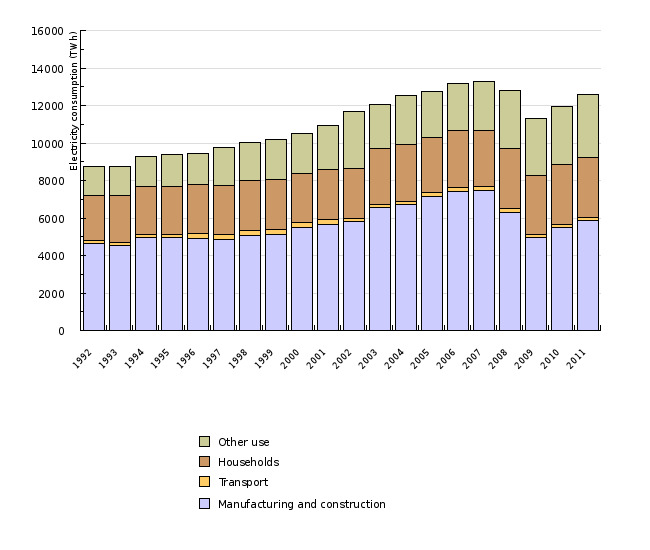 Compared to the year 2000, the biggest growth was recorded in services sector, followed by the households.